The benefits of meditation on the brain have been studied for over a century. The findings have been rather profound. In just 4 days of regular meditation, people can have lower blood pressure, better happiness, and more resistance to the ravages that stress can leave on the body. The one problem that affects the practice of meditation more than anything else, however, is discipline. Meditation cannot be something that is just randomly practiced a couple of times per week. It must be a daily event that you make time to do. If you can do that, then you can stop the feelings of restlessness and extreme fatigue that occur even after a good night’s sleep. You can structure your mind to be more organized, have a greater level of focus, and be prepared to face the challenges of the day. How Many People Are Meditating Right Now? If you just look at what would be considered traditional meditation, then about 10% of the US population takes time to meditate every day. Meditation is being included in the training programs for soldiers and even NFL players are using it to maintain their focus. Sometimes people are meditating, but they don’t actually call it meditation. It might be called prayer, supplication, time with God, or just “quiet time.” If these folks are included with the American estimates for meditation, almost a third of the population is taking time to meditate every day. Just because everyone else is doing it doesn’t mean that it is right for you… or at least that’s what we tell people. If everyone else jumped off a bridge, would you do it too? When it comes to meditation, the answer should be: absolutely! That’s because research shows that there are a number of specific benefits that come with regular meditation that increase your health and personal happiness. Positive emotions will increase, as will your overall life satisfaction. There are also health benefits that can be achieved with regular meditation. It has been shown that people have lower levels of pain and inflammation when they meditate regularly. They also get to see a boost in their immune functioning. If you can’t seem to kick that cold this year, don’t take expensive over-the-counter supplements that may or may not work. Try adding some meditation to your life for just a week. Just 7 days. That might be enough to make that illness go away for good. One of the biggest roadblocks on the journey toward regular meditation is what can be described as the “obstacle of boredom.” In this modern age, people work hard and play harder. There doesn’t seem to be a lot of time for meditation and when there is, the perception will be that the time spent will be boring. Some people even fear that meditation will lead them toward loneliness. Here’s some good news: the opposite is actually true. People who meditate on a regular basis find that the feelings of loneliness are reduced. Even for stay-at-home parents who don’t have regular contact with anyone but their spouse and kids report that daily meditation gives them feelings of independence and resilience against loneliness that they didn’t have before. Meditation also increases the social connections that are made on a daily basis. This is because regular mediation helps to stabilize your mental state. Even introverts find themselves engaging people in a friendlier, more extroverted fashion thanks to the strength of mind that comes from meditating. Just How Does Meditation Affect the Brain? The benefits of meditation on the brain are focused on reducing stress, but there are multiple other benefits that are experienced as well. People often report having an increased ability to remember short-term events and recall more specific details from their day. Meditation also improves attention levels for specific tasks that must be completed. Imagine sitting through a late afternoon meeting at work. You’re tired and ready to go home, so you don’t remember the information that has been passed onto you. With meditation in your life, you’ll have the energy to stay focused and the clarity to remember more of the details that you need to know. Meditation also increases specific areas of the brain when it is practiced on a regular basis. Research shows that an individual’s cortical thickness is increased after regular meditating, specifically in the areas where attention and logic are concerned. 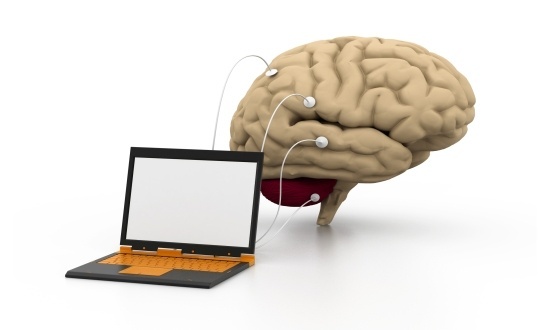 A person’s overall brain volume also increases in other specific areas. The regulation of emotions, self-control, and the generation of positive emotions all have their brain areas increased thanks to the practice of meditation. Even the gray matter in the hippocampus and frontal lobe areas increase, inspiring deeper thought and creativity. It really does take just 4 days for these benefits to start being seen in a person’s life. With meditation, however, the more you do it, then the more you benefit from it. You can double the benefits experienced in those first 4 days within the first 4 weeks. You can triple one month’s worth of benefits over the course of a year. Extend your time of regular meditation out to 4 years and you’ll triple the benefit again. Many people who don’t meditate say that they just don’t have time to do it. There are only 24 hours in a day, which means there are only 1,440 minutes to be experienced. A third of that time is going to be dedicated to sleep. Who has time to sit around and not do anything when there’s all this stuff that needs to be done, right? Let’s talk about how you can add 20 minutes to your schedule so that you can begin to experience the benefits of meditation on the brain from a first-hand perspective. Ask yourself some tough questions about your schedule. How much time do you spend on Facebook every day? Or Twitter? Or other social media sites? Do you spend more than 1 hour watching TV every day? Do you have time dedicated to the watching of YouTube videos about cats and unicorns? The truth is that we make ourselves become busy so we don’t have to slow down. We keep our minds active and engaged in various tasks throughout the day because it is easier to put off coping with stress than to actually deal with it. There’s also a certain level of nervousness that is associated with doing something that has never been done before. It’s like giving a child a steak for the first time. You know it’s good. You know they’re likely going to enjoy it if they would just take a first bite. The only problem is that the first bite can be so scary that it can reduce that child to a puddle of tears in just seconds. That’s how we are as adults with meditation. We don’t want to take our first bite of it because we don’t know who or what we’ll be when we give it a try. Meditation is proven to decrease anxiety naturally. It provides a barrier against the stresses that we all face every day. It has even been shown to help with the symptoms of depression. The bad feelings don’t just disappear, but they can be handled in a better way. That’s why meditation should be considered today. It only takes 20 minutes. If you can’t make time during the day, then try getting up 20 minutes earlier next week to give yourself time to meditate. It may just be the best decision you make this year. What do you see in your mind when you think of someone meditating? 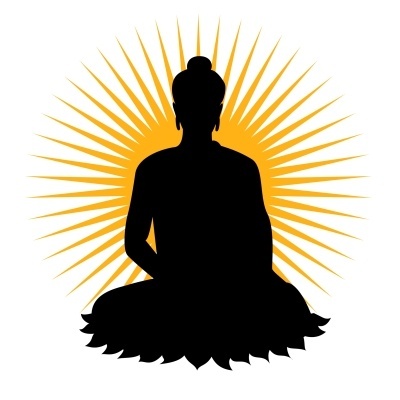 Many people see someone sitting in the lotus position, their back straight as a rod, perhaps chanting a mantra. That is classic meditation, but that doesn’t have to be your meditation. 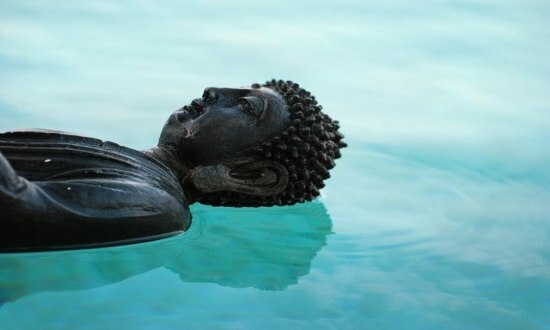 Meditation is a uniquely personal practice. You might not be able to sit in the lotus position because of health reasons. You might have kids that won’t let you sit still for more than 20 seconds, much less 20 minutes. Here’s something that many people don’t realize: meditation can take on many forms. Ed Sands knows this first-hand. He works from home full-time because he and his wife have 4 kids that are all under the age of 6. They homeschool their children not for religious or political reasons, but because their kids are so smart. All of them have a tested IQ above 130. Their local schooling options just don’t accommodate their needs and they can’t pay for private schooling. Needless to say, Ed doesn’t have much free time. He gets up at 4am every day to put in 4 hours of work so that school can start at 8:30am. The kids are usually through their schoolwork by lunch or a little after. He then finishes off the other 4 hours of work that he has before his wife comes home. Then he cooks dinner, takes the kids out to the park or the beach, and then tucks them in at night. By 9:30pm, Ed is fast asleep. Then the alarm sounds in the morning at 4am and he starts the routine all over again. Ed realized that if he was going to try meditating, he would have to take a different approach. The only problem was that if he tried to meditate during the day, there would inevitably be some sort of child-related emergency. Having 4 young kids unsupervised for 20 minutes… well, a lot can happen in 20 minutes. Then Ed realized that the 30 minutes he took to get himself going in the morning could become a place where he could fit in some meditation. He decided to meditate while taking a shower. It works for him. Meditating regularly means finding what works best for you. Throwing on some headphones and taking a long run or walk can be a form of meditation. Lying in bed for 20 minutes before falling asleep at night can be meditation. You can combine Yoga and meditation. Even a few minutes at lunch, away from a computer, co-workers, and that micromanaging boss can become a time of meditation. That’s right – you can combine cold cuts and meditating if that ‘s what works for you. The specific practice of meditation matters less than the fact that you’re willing to take time for you. Many spiritual beliefs practice a concept that says to “love others as you would love yourself.” We often focus on the loving others part of that statement, but the last part of it cannot be ignored either. You must be able to love yourself in order to love others. Love is a verb in addition to it being an emotion, which means we must all take time out to make sure we each have what we need every day. One of those needs should be meditation. To see how the mind actually changes when someone meditates, research has focused on many different areas. This includes examining the various brainwaves that a mind produces throughout the day. What has been found is that 20 minutes of meditation helps to reduce the amount of beta waves that are produced. High levels of beta waves indicate that a mind is processing enormous amounts of information. It’s our normal waking state. 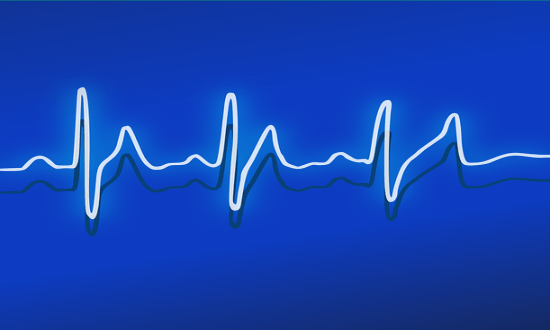 With just 20 minutes in meditation, however, those beta waves almost completely disappear from the mind. If you could meditate for 60 minutes during the day, it would equate to getting another 8 hours of sleep every day. That’s power that shouldn’t be ignored. 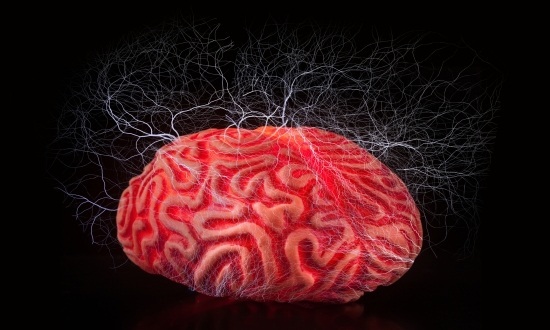 The brain is one of the world’s best supercomputers, but it is organic. It needs rest. Meditation helps to give it that rest. That’s why regular meditation has such a powerfully profound effect on every single practitioner. Everyone who meditates experiences these benefits. No one is excluded. It can be a struggle to get into a regular habit of meditating. There is no judgment here. Every person who meditates had to start the practice one day and they had internal resistance to the idea. Maybe 20 minutes is too much time to set aside at first. What matters more than the amount of time that you meditate is that you actually engage with the practice in some way every day. That means if you can only meditate for 2 minutes, then do that. It’s the engagement that matters more than the amount of time. When you work to change habits, it becomes easier to do when you can get into a regular daily routine. You can find 2 minutes to stop and be still, right? After the initial struggles of starting the practice of meditation, the next hill to climb arrives at the 2-3 week mark. This is where you’ll want to rebel against the new habit and start going back to your old ways. It takes a conscious effort at this time to keep meditating, even for just 120 seconds. Get past that 3 week mark and you’ll be looking forward to the time you spend meditating. You’ll naturally want to increase it. That’s when you can begin expanding the time you spend stilling the mind, helping it rest, so all of the benefits can be achieved. Isn’t Lower Brain Activity a Bad Thing? One of the common arguments against meditation discusses the low levels of brain functioning that occur during a session. Low brain activity has been associated with higher risks of drug abuse, brain damage, and other physical problems. It isn’t the low brain activity that matters. It’s the type of low brain activity that matters. Drugs reduce brain activities by chemically altering the structure of the mind and body to achieve results. It artificially reduces the output the brain can achieve. If you’ve got an iPhone, it works pretty well to meet your needs, right? Now put that iPhone into a bathtub full of water and try to use it. It’s the same device, but the new environment ruins it. That’s what drugs do to the mind in lowering brain activity. Meditation, on the other hand, stills the centers of the mind that are anxious or depressed in natural ways. It’s you taking control over your body and mind. You are choosing to give yourself some rest. It’s also important to realize that it is easier to lose a habit than it is to start a new one. You can meditate just fine for a few weeks, put it off for a few days, and pretty soon those few days turn into 3 months and you’ve got to start all over again. The benefits of meditation on the brain are proven. They help you live a more peaceful, consistent life that has a sharper focus and better recall. It is a practice that is encouraged by almost all religions, even if called by a different name, and can easily fit into a schedule. If you can’t find 20 minutes, then find 10 minutes. Or 5 minutes. Or even just 2 minutes. With meditation, anything will always be better than nothing. Is Astral Projection Real or Just Fantasy? I first started meditating in 2006, and have tried lots of different techniques since then. For me, the best technique is effortless mantra mediation. This is where I allow my mind to gently think the syllable “Om”. The key is not to put effort in. I also like doing mindfulness when I’m out walking in nature. That helps me stay focused in the present moment. It’s about being conscious of all my senses, being really aware of what is right now. Meditation is so powerful, it’s a wonder that it’s not more widely practiced. What do you think would happen if everyone in the world were to meditate twice per day? I think it’s been gaining in popularity over the last years. I hear about more and more people starting the practice. I once heard about prisoners practicing meditation. I think it was Transcendnetal Meditation, but I’m not sure now. But if I had to guess I think I would say that we would live in a more peaceful and healthier world. Thanks for sharing your thoughts, Marcus. Love your site, I meditate daily and sometimes multiple times. It is how I center myself and find inspiration. Things come to me when on the right train or wheel of thought and this in my mind all starts with the chakras being in alignment. I’m happy I just found your site and read what I did because it proves to me that my guide is truly showing me the way. Thank you! Thank you for your comment, Kory. I’m happy that my article was helpful. Hey wow I really enjoyed looking at your site. I have been meditating off and on for a few years now. On a nice 40+ day run right now. Even though I know about and practice meditation I still got a lot out of this post! I really like how you urge people to meditation, I myself found that by starting really small like 5 mins or so, but making myself do it everyday it was really easy to get into the habit. I don’t know if the United States will push out of the 10% of the population, but it sure would offer a lot of peace to more people! Keep up the good work, Seth! I’ve been forever trying to start regular meditation but always get discouraged or even think up excuses to not do it at all. But it helps me to have so much information about how meditation affects and helps the brain! After reading this, I did realize that I had this idea in my mind of meditation being done in that classic legs-crossed seated position. It’s good to know that it doesn’t have to be that way! I do yoga regularly, and find I quite enjoy the relaxing moments in Corpse Pose where the instructor leads us through a mini-meditation. So maybe I have a good basis to continue mediation outside of yoga, and for a longer time. Thank you! Thanks for the comment, Samantha. Yoga is great too! What an interesting and very thorough post! Thank you! 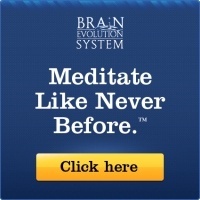 I practice meditation everyday, if I can’t do regular meditation I use brainwave entrainment and Binaural beats. I loved your point about people not having time. EVERYONE has time to meditate. It’s for your health and overall well-being. It’s all in how you prioritize your time. Wow, I’ve never heard the argument about meditation being associated with risk of drug abuse and brain damage. That sound ridiculous and I think you gave some very good examples of why this is nonsense. Yeah, I think everyone can find at least 30 minutes a day to meditate. Great post. This reminds me that I need to start meditating again. I want to start visualising success and happiness. I feel this helps achieve goals much more efficiently. It’s amazing how much difference meditation can make on one’s state of mind. It’s easier to go from negative to neutral to positive than it is to go straight from negative to positive. I recently tried meditation for relief from stress. It’s extremely relaxing and helps my brain to take the edge off. It is taking some time to get permanent benefits. There are so many stressful things that affect us today. I find that headphones help me with meditation and calming my brain from overload. Sometimes I do feel lost in daily activity such as TV and social media as you mention. I’ve made meditation a daily part of my life now.